Hiring the services of a storage company is an extremely clever decision if you need to relocate or store some of your excess belongings. Storage facilities are becoming extremely popular these days because of the conveniences they offer. These facilities are relatively cheap and customers are charged according to what they store. 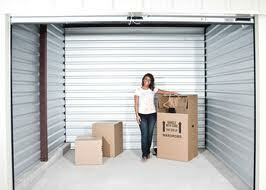 Make sure that you visit many different storage units to get a better idea of what the offer. Although there are many companies offering theses services, it important that you evaluate them on the basis of the following factors before making your final choice. 1. Safety: It is quite obvious that the belongings you want to store are of value to you and therefore you would want them to be stored safely. Make sure that the unit you choose has security systems such as surveillance cameras, burglar alarms and security guards. It should also have a fire alarm installed to protect your belongings in case of a fire. The unit you choose should be free from dust and pests as well. 2. Location: Make sure that the storage unit you select is conveniently located. Look out for companies that are easily accessible (from major routes) so that you can save time and mileage when you need to access your belongings. Look for storage units that are close to your residence so that your belongings can be transported back and forth easily. 3. Price: Price should not be the only factor that you base your choice on when looking for storage solutions. Storage companies have a lot of different price ranges and it is important that you choose one that suits your budget. These differences in price are usually on the basis of the amount of time you need to store your items and the size of the unit. You may also want to include a bit of extra room for future growth in case you need to store more items. 4. Size of the Unit: The storage company that you select should be large enough to hold all of your items with adequate space to be able to get around them. It is best that you have a clear idea (size, dimensions) of the items you want to store and the storage space offered by the company. If you are not thoroughly clear about the nature of these factors then it highly advised that you speak to a representative of the company. 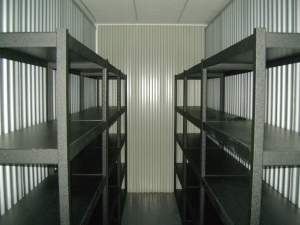 Hiring the services of a storage company allows you to sleep easy knowing that your belongings are safe and sound.